Title: 'Cambriae Typus Auctore Humfredo Lhuydo Denbigiense Cambro britanno'. French Edition. 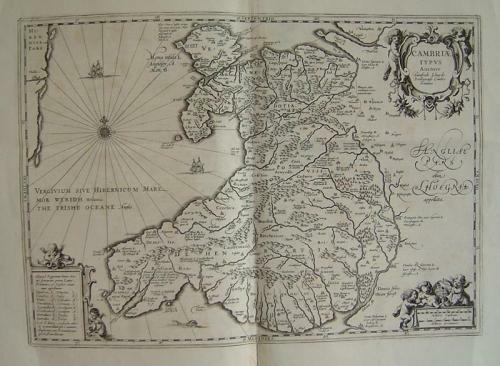 An ancient map of Wales, originally prepared by the Welsh cartographer Humphrey Lhuyd. In very good condition with folds as issued.